In recent years, the hot tub industry has seen incredible growth. Consumers are demanding more energy-efficient models, with more functions, combined with slimmed down or oversized designs and combination tubs that allow for swimming and soaking. As you can imagine, the swim spa has been a resounding success in Canada – allowing homeowners to soak or swim, even in the winter months! With these changes come updates to hot tub cover designs. Which is why the experienced team at Hot Tub Covers Canada has been working with customers to ensure they get the right fit. Our extensive years in designing and manufacturing covers helps us ensure we deliver the highest quality products, with options and prices to suit every budget. And with the hot tub and swim spa market ever-evolving, Hot Tub Covers Canada proudly offers a custom “hot tub cover” service. After all, shouldn’t a customized hot tub or spa deserve a custom cover?! 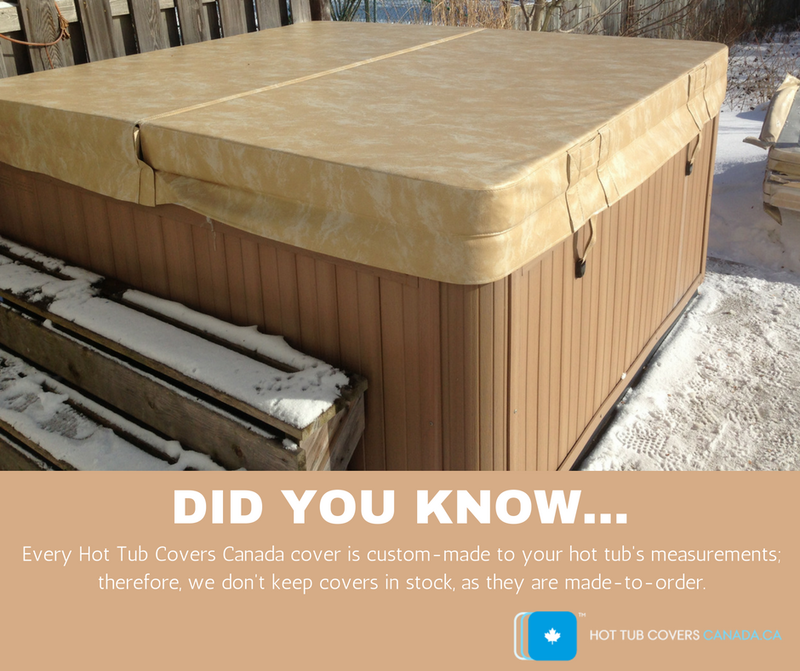 If you would like assistance in designing a custom cover, please contact the Hot Tub Cover team. Gord is the go-to for these custom orders and would welcome the opportunity to collaborate. Alternatively, you can jump right into the custom design process yourself by visiting our Custom Cover Template design tool.